When buying a home, most people think about things like the price, down payment, and closing costs. In addition to these, obtaining the best “type” of home mortgage should also be on the top of your list. One of the most popular mortgages is the fixed-rate mortgage, which comes in three common varieties. So read on, and we’ll explain fixed-rate mortgages, why they are popular, and the differences between 15-year, 20-year, and 30-year fixed-rate mortgages. When you apply for a mortgage, the most important thing you need to pay attention to is the interest rate. Also, be careful to understand whether the mortgage has a fixed or adjustable rate, which can make a significant difference over the duration of the loan. With a fixed-rate mortgage, you pay the same interest rate over the entire term of the loan. But with an adjustable-rate mortgage, the interest rate varies according to a specific benchmark. Since fixed-rate mortgages don’t adjust with economic swings, lenders take on more risks with these mortgages. As a result, fixed-rate mortgages can have a slightly higher interest rate in the beginning, compared to adjustable-rate mortgages, but they can save borrowers thousands of dollars over the term of the loan. 15-year, 20-year, and 30-year fixed-rate mortgages are very similar, except for the term and interest rate. Of course, the longer the term, the more risk the lender takes on, so longer term mortgages are slightly more expensive in the beginning. The 15-year mortgage is paid over the course of fifteen years, the 20-year mortgage is paid over the course of twenty years, and so forth. The most common type of fixed-rate mortgage, and the most practical for many borrowers, is the 30-year fixed-rate mortgage. The longer, 30-year term results in borrowers paying more interest over the term of a loan, because of the length of time the principal is borrowed. But the smaller monthly payments are more manageable for most borrowers, which makes the 30-year fixed-rate mortgage popular. Fixed-rate mortgages are a great choice for many borrowers based on the fact that their mortgage payment does not change, except for taxes and insurance. With a fixed-rate mortgage, homeowners know exactly how much they will pay each month, and can budget their monthly finances accordingly. As a result, fixed-rate mortgages make buying a home possible for many people, especially with low and zero down payment mortgages like FHA, USDA, and VA home loans. There are many types of mortgages to suit different needs. 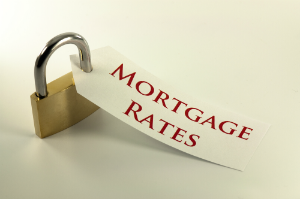 Many people find that a fixed-rate mortgage is best for them, and others prefer an adjustable-rate mortgage. Marimark Mortgage is a licensed mortgage broker in Florida, Virginia, and Pennsylvania, serving borrowers with a variety of mortgage needs. We specialize in conventional home mortgages, FHA, VA and USDA mortgage options, refinance loans, and reverse mortgages. We’ve also worked extensively with HARP refinancing to help clients lower their monthly payments. To start the mortgage process and become pre-qualified and pre-approved, fill out our Quick Mortgage Application or contact us direct. While we ended up not needing a lender after all, we would still like to give Mary a high rating! She spent a lot of time helping us think through all our options and always responded to our email questions promptly. We were very impressed by her service.